Social lab participants in a collaborative ice-breaker activity. Seven weeks after the team started their experiments we are checking in on the Rumphi Social Lab to find out what they have learnt. 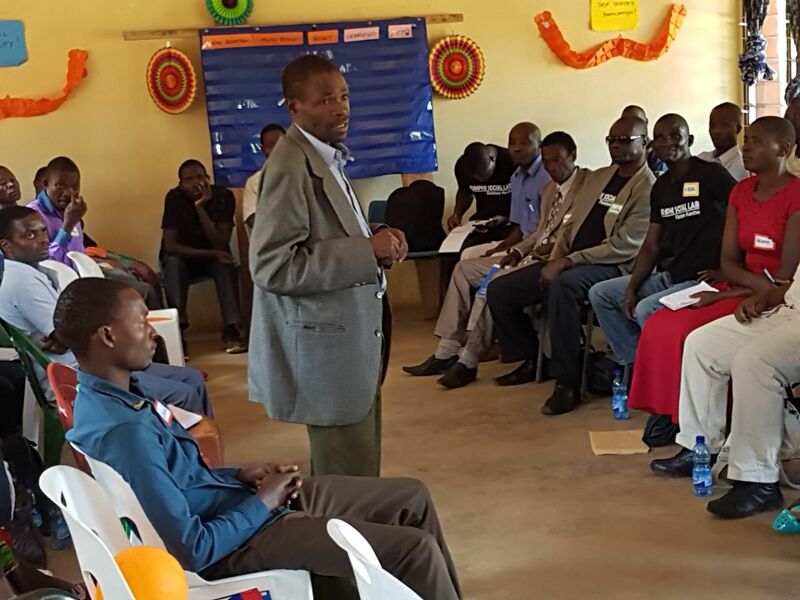 Fifty participants from the five teams returned to share experiences, reflect on progress and report back on what they had learned while working on their micro actions to strengthen relationships between development actors in Rumphi. Read about the launch of the Social Lab here. The tone is conversational, the stories are personal, and participants invite questions, comments and discussion. We document every response. First the teams discussed the practical achievements and challenges faced by each team. Questions included: Were you able to work as equals in diverse groups? What was the hardest thing about doing this work? How difficult was it to keep the group together and active? how to respond to community members that demand allowances in return for their participation. Communities demanding substantial payment for participation was recognized as a nation-wide challenge. And the Lab decided to seek solutions from outside the Lab as well. The Rhumpi Social Lab will invite individuals and organizations from across Malawi to submit stories or mini case-studies of how they have found ways of addressing this problem in their work. The Social Lab will be the jury and the best ideas will be tested in the next round of experiments in June. The first day ended with micro-action teams recording their experiences and lessons learned on radio – a far cry from the usual report-back monologues. Teams presented under three headings: what we believed when we started, what we observed, and what we have learned. The dialogue between the 50 changemakers in Rhumpi was lively. Soon it will go national when the recorded program airs on Voice of Livingstonia radio. 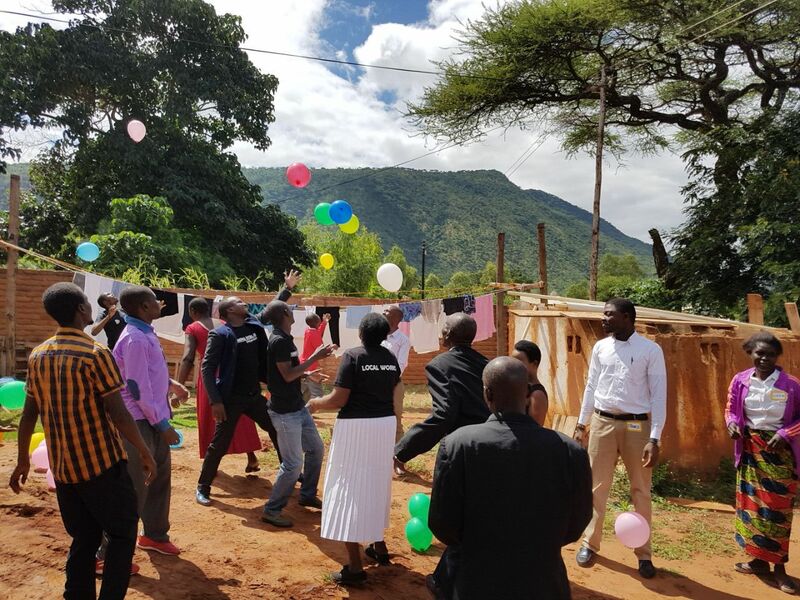 The Rumphi Social Lab is a collaboration of Youth And Society Malawi, Root Change, Keystone Accountability and USAID Local Works. This entry was posted in Client Work and tagged Development, experiments, local works, Malawi, Rumphi, social lab, USAID. Bookmark the permalink.